As we all know, the best way to find neighbourhood gems is to ask the locals where they go. 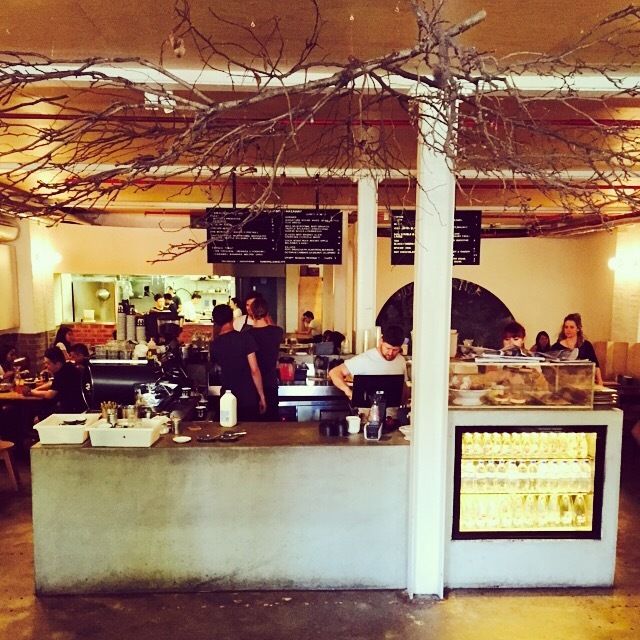 The last couple of years has seen Redfern go though somewhat of a cafe culture renaissance. 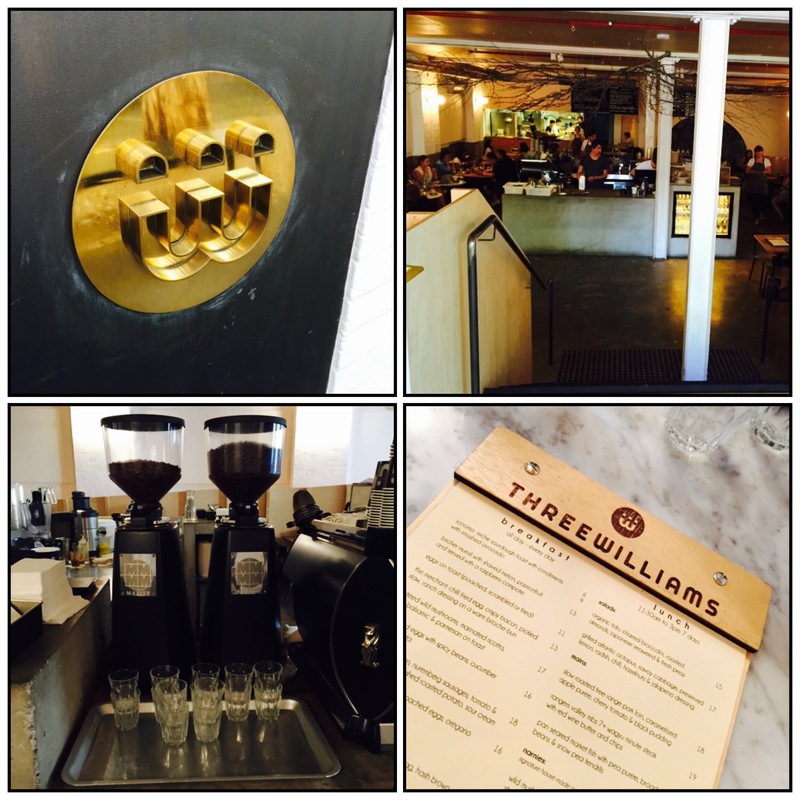 In an effort to familiarise myself more with the Redfern food scene, I asked a local what his favourite cafes were – Three Williams was top on his list. A bit of research revealed that it was started by one of the founders of Sonoma, with food by former chef of Aria and Chiswick. Sounds like a decent bet! We arrived late on a Sunday afternoon, pleasantly surprised to learn that there was no wait. Three Williams is known to normally be super busy on weekends, so this suggested to me a good strategy is to arrive after about 1pm to avoid a long wait. The space itself is beautifully designed – very industrial, with the striking branch display as you enter giving the place a lot of character. Sauteed wild mushrooms, marinated ricotta, truffle balsamic & parmesan on toast ($17): the truffle balsamic grabbed my attention. It did not disappoint – the truffle was the first thing I smelt as the waitress brought the plate over, yet it wasn’t too overwhelming. The mushrooms were enormous, went fabulously with the mound of ricotta buried under my side of poached egg. The bread was a little difficult to eat though – I would’ve preferred something a tad smaller and easier to cut into. Corn fritters, bacon, nuremberg sausages, tomato & capsicum salsa, crushed roast potato, sour cream ($18): great dish, very flavourful particularly with the capsicum salsa. Quite a large sized portion. Ranges valley 5+ wagyu beef brisket, slaw, gherkins & chipotle mayo ‘narnie‘ ($15): now what is a ‘narnie’? Turns out it’s a play on the english slang word for sandwich, ‘sarnie’, but with a ‘n’ as it is made from naan. Basically a sandwich made with naan instead of bread. This was delicious, with the well cooked beef complemented perfectly with the chipotle mayo. Strawberry cheesecake ($5): a nice end to our little feast. The ricotta was extremely light, with a touch of lemon zest which went really well with the sweet strawberries. Peanut caramel shake ($7): despite title, this was surprisingly light and frothy. A huge serve size, perfect to be shared with a few on the table! 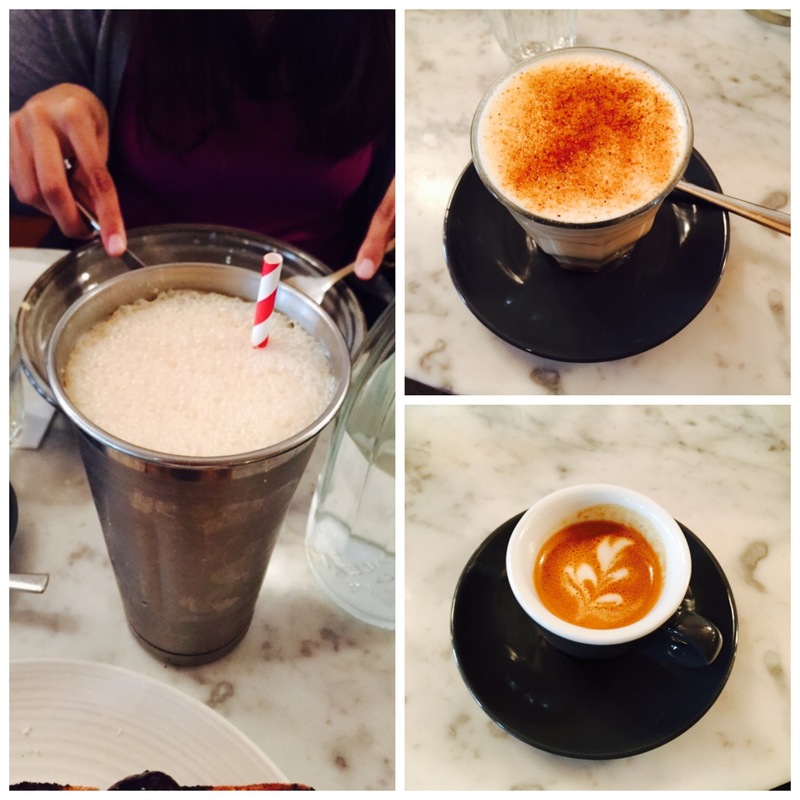 House chai latte ($4): great to see that the chai latte is brewed in house. Double machiatto ($3): coffee by Single Origin Roasters, so no surprise that the quality was good. 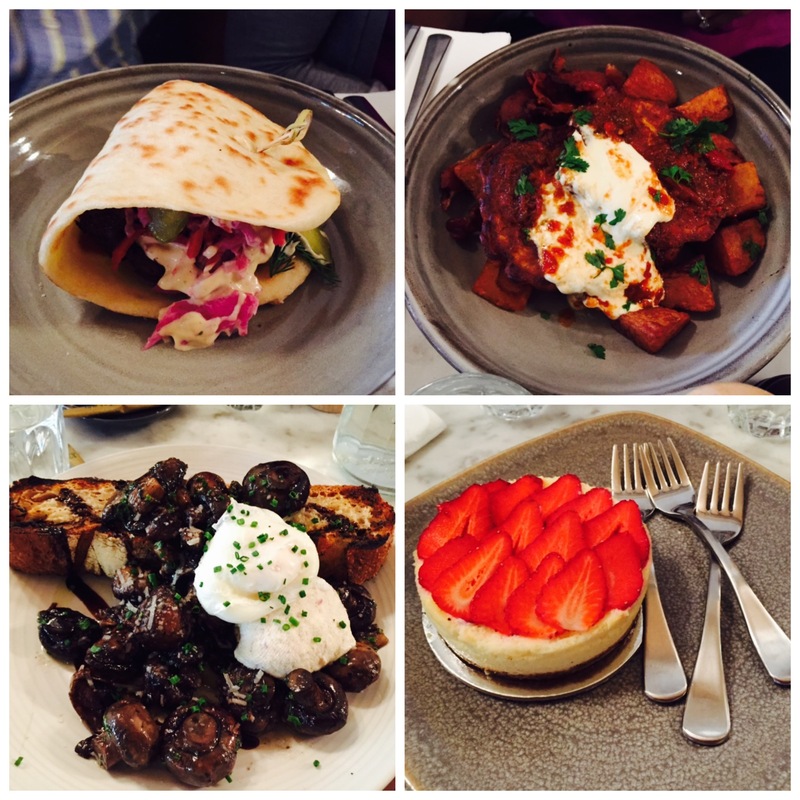 This entry was posted in Brunch, Cafe, Food, sydney and tagged chiswick, coffee, Redfern, The Grounds. Bookmark the permalink.